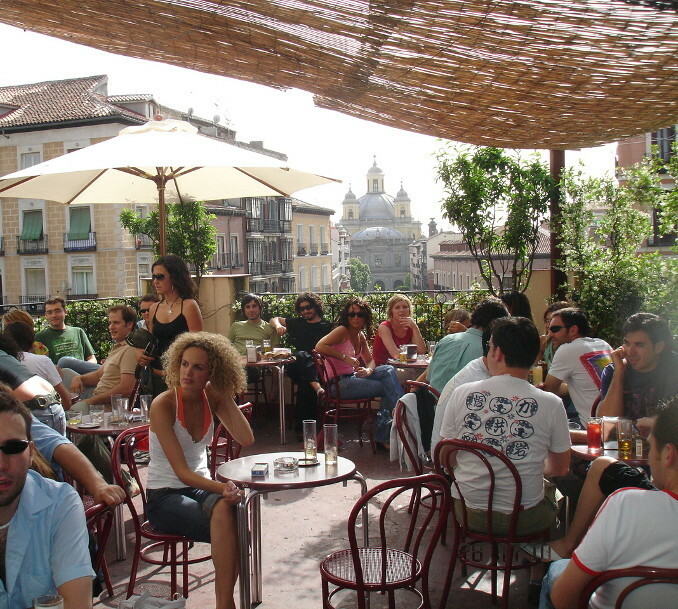 This down-to-earth terrace is hidden away in the middle of the La Latina neighbourhood. 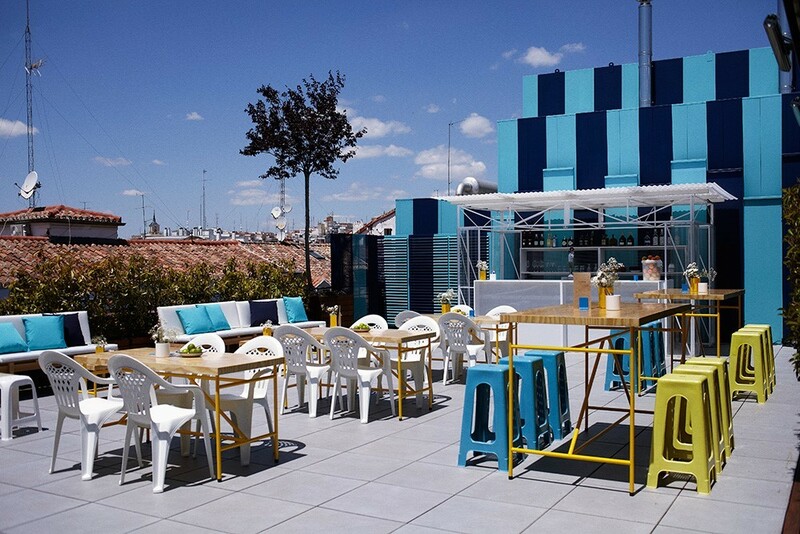 On the rooftop of the modern hostal The Hat, you'll get good views, a fun ambience and chilled draught beers to complete the package. They've also got snacks, such as quiches, toasted bread with various toppings, and on Sundays they've got paella. The simple décor lends itself to this space where you'll feel as comfy as if you were visiting neighbours, surrounded by cool folks having a good time and lovely sunsets. Get there now before everyone knows about it. Lovely views, gorgeous food and first-class service. That more or less sums up a visit to Café del Río. 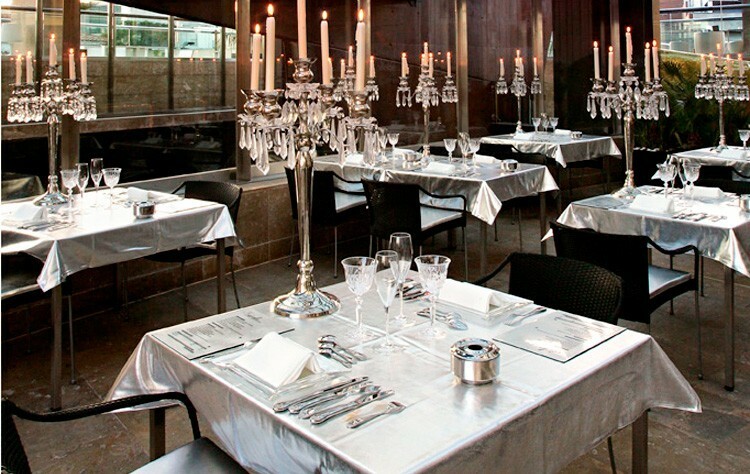 Located next to Madrid Río, this restaurant is the perfect place to have a drink after walking along the banks of the Manzanares. 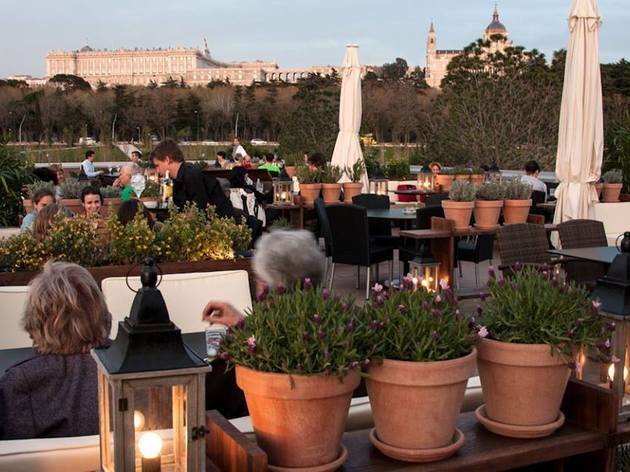 From its upper terrace you can take in the Royal Palace on the other side of the river, which is a spectacular sight around dusk. The menu has a bit of everything, from fried snacks and toasted bread with a variety of toppings to meats, rice dishes and fish. Highly recommended are the 'carabinero' prawn croquettes, the black rice with calamari, oxtail puff pastry, and the bluefin tuna with wakame. 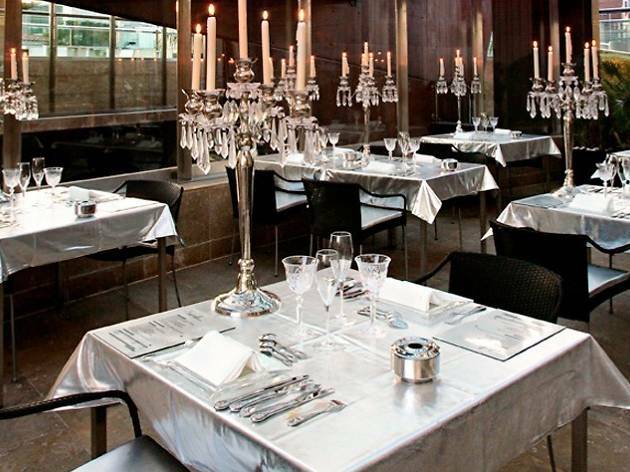 They've also got a very reasonably priced set lunch menu with a variety of choices. Don't miss it. Imagine sipping a refreshing cocktail in the summertime with your feet dangling in the cool waters of a swimming pool. 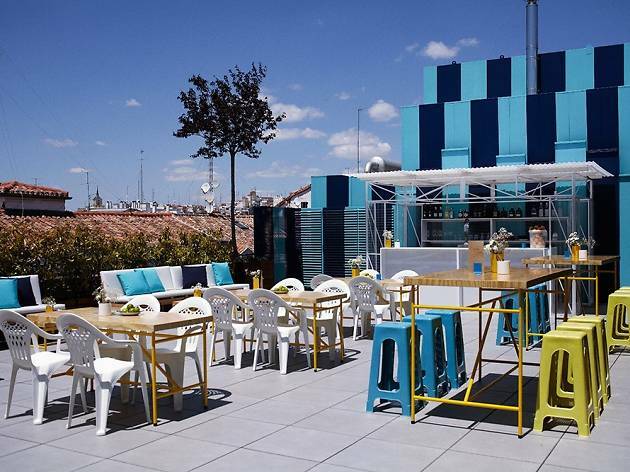 If you add to that stellar views over the city of Madrid and comfy white lounge chairs, you've got the surroundings at La Terraza del Urban. 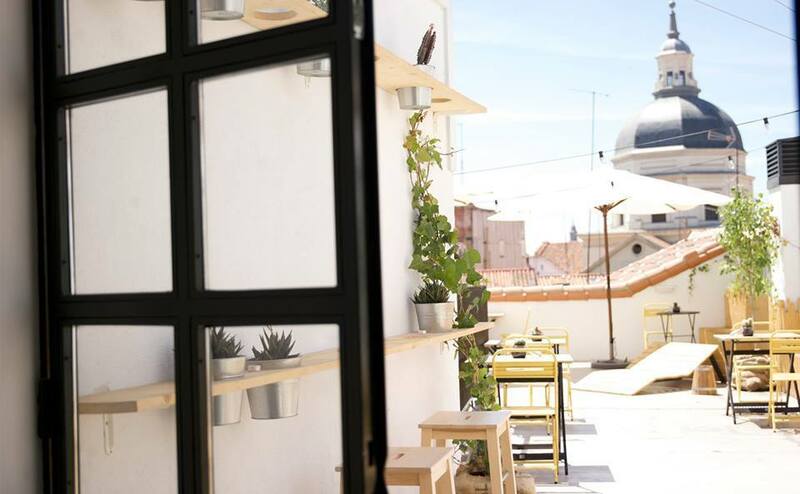 It's not the cheapest among the city's terraces – the G&Ts, mojitos and cosmopolitans will set you back €15 each – but it is one of the most beautiful. 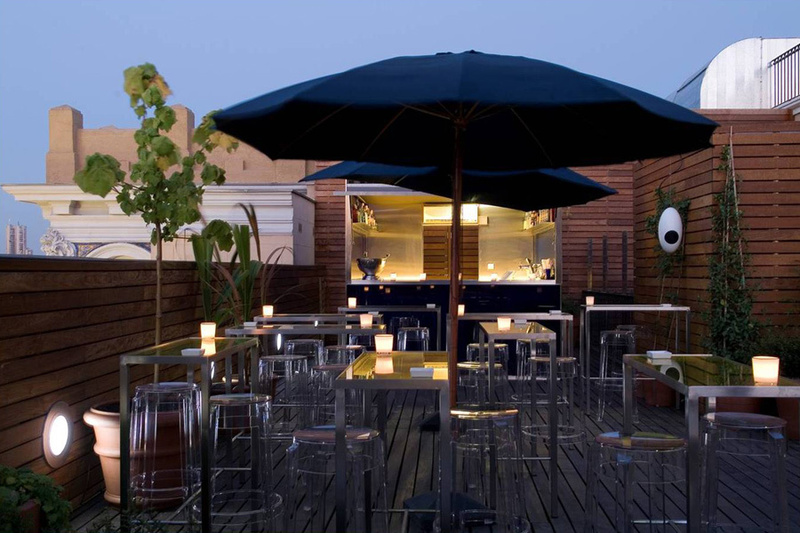 Besides, on the top floor of this luxury hotel is where you'll also find the restaurant El Cielo del Urban, a modern and stylish space. Some of their top specialities includo the Wagyu beef fillet, the steak tartare and the suckling pig with applesauce. Salmon or beef tartare, grilled sardines and anchovies, a cheese board... You’ll find plenty of tempting snacks and cocktails if you head up to the seventh floor of this hotel. This attractive (wood always gives an elegant air) penthouse terrace is perfect for warmer evenings or for a fresh fruit juice in the morning. 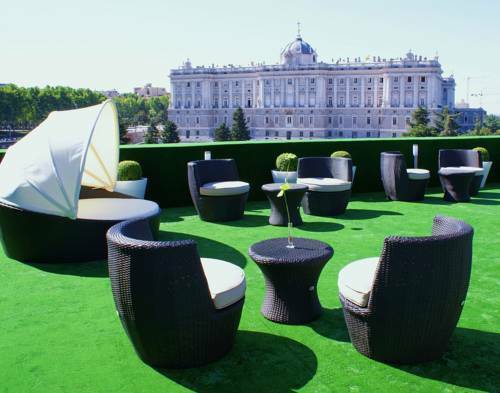 Like all of the rooftop hotels around Gran Vía, the cocktails will see you parting with around €15 per drink. 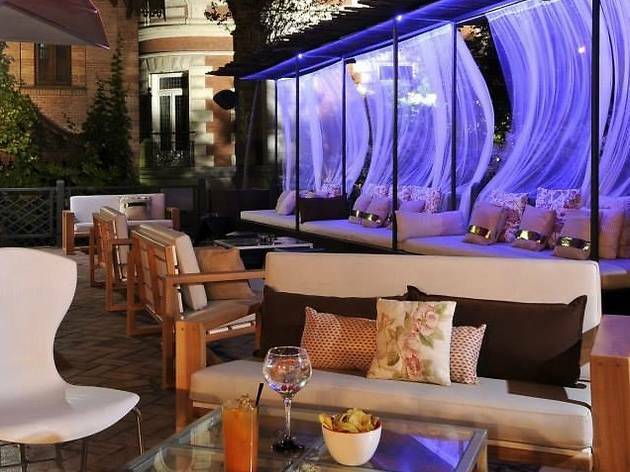 You never know where you'll find a cosmopolitan terrace in Madrid, and this one's in Casa de América, a cultural centre with its own cinema. The wooden furniture and white cushions and curtains transform this 250-metre space into a hidden urban oasis. 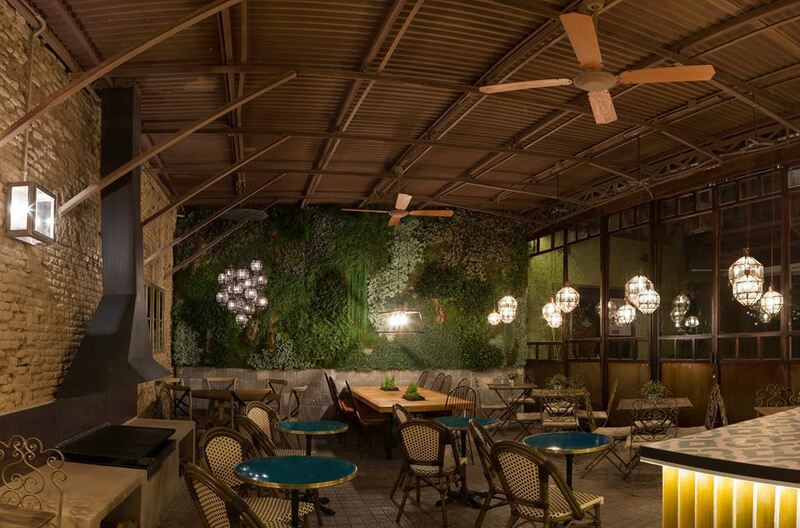 When it's hot out, you'll be comfortable here even in the middle of the day thanks to the fans and water diffusers. They often put on theme parties, and use their big screen for sporting events. 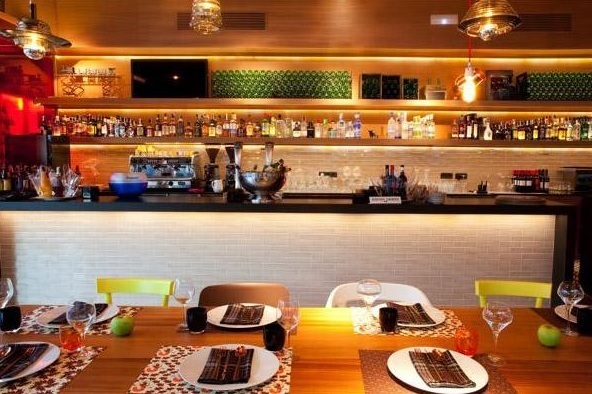 The cocktail list is top-grade, and the tapas include salads, croquettes, Iberian ham and calamari. 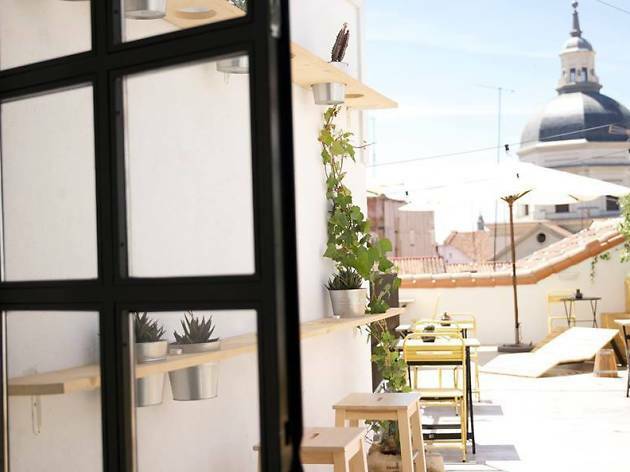 Warning: You're going to want to spend hours and hours in this bistrot in the Salamanca district, with its charming patio surrounded by greenery and little café tables. In colder months they close the big windows and keep the warmth of the fire in. 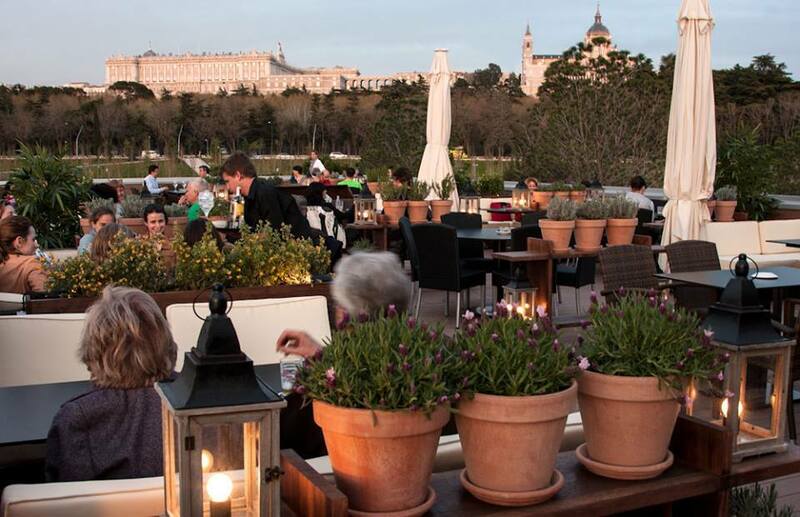 Yes, there's a fire, making it a perfect terrace all year round. 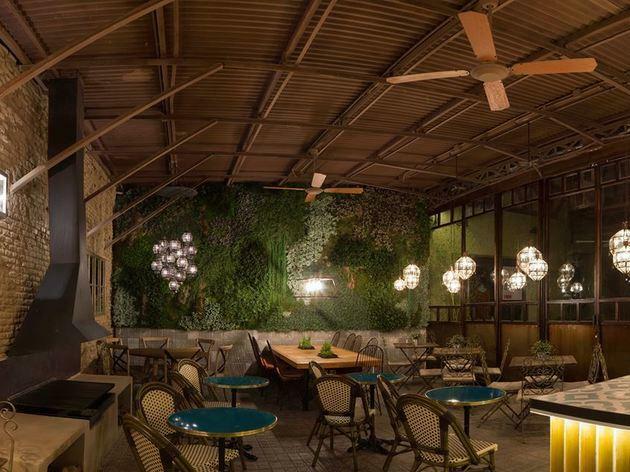 The menu boasts Sunday brunch, small pizzas, burgers, veal carpaccio, sandwiches, black truffle scramble with emmental and various chef's selections. 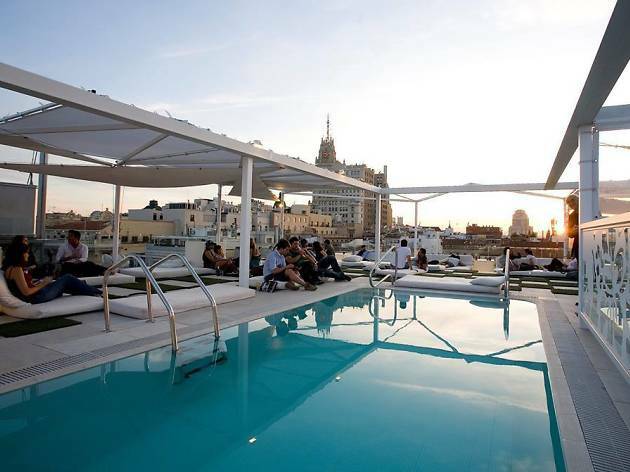 What is it about the rooftops of Madrid that make them so attractive? Is it watching the sunset into the skyline with a drink in hand? 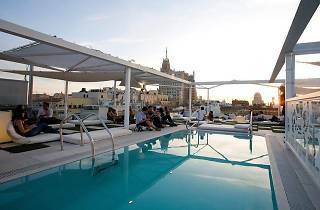 The relaxed atmosphere and cooler temperatures in summer? Or maybe all the cultural activities that are increasingly organised on them? 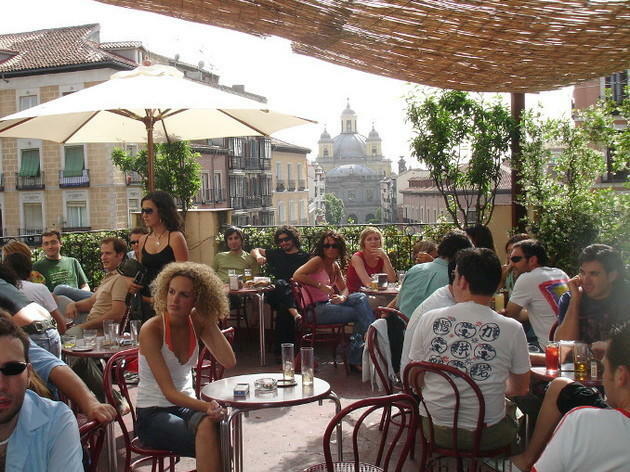 You can get all this and more in a single space: the terrace at La Casa Encendida. Summer cinema, concerts, drinks... this place has it all. 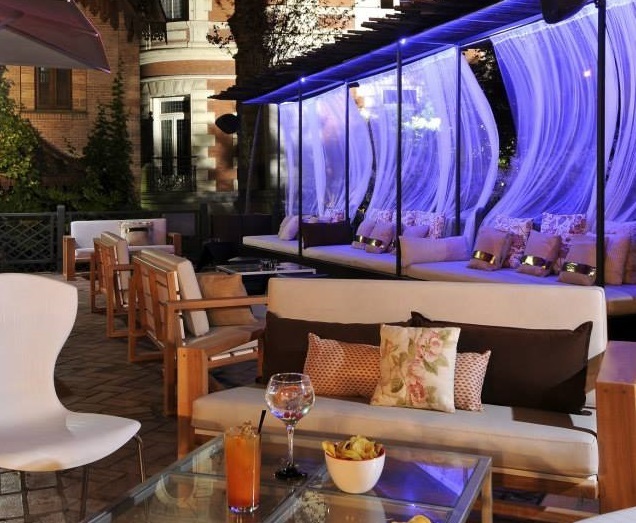 Inspired by the success of Mercado de San Miguel, the neighbourhood of Chueca saw the opening of the remodelled Mercado de San Antón in 2011, which has become one of the area’s prime leisure venues. 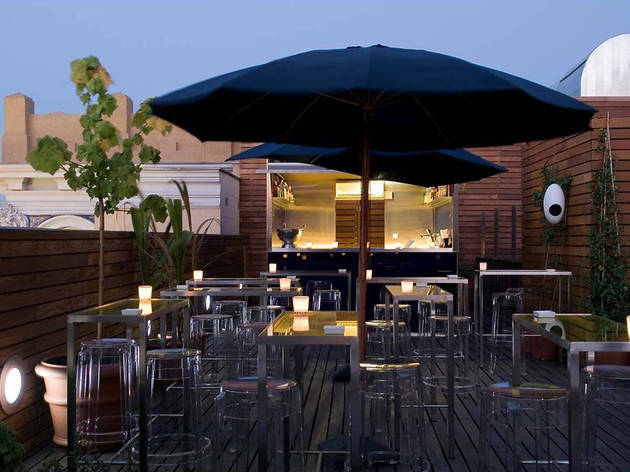 The first floor is given over to a traditional market with numerous gourmet food stalls, while the second floor has food to take away and show cooking demonstrations, as well as a terrace-restaurant where you can enjoy a lively aperitif. 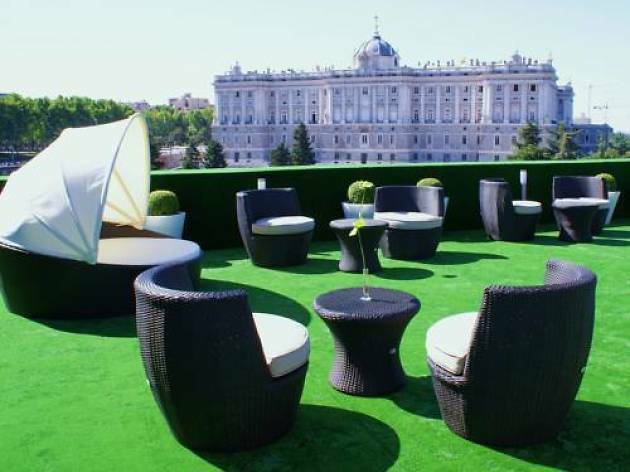 These designer suites are located opposite the Royal Palace and so of course enjoy an incredible panoramic view from their terrace. It's especially worth a visit as dusk approaches, to see the enormous palace all lit up. 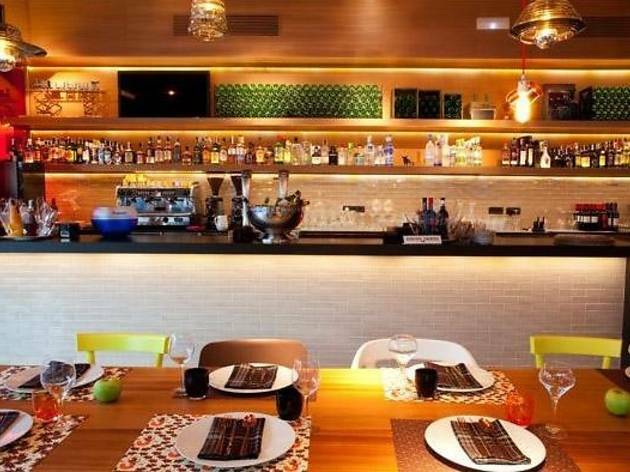 Their tapas menu is on point, the cocktails and drinks go down nicely and the chill-out ambience is perfect for a first date or an easy night out with friends. Space is limited, so it's a good idea to book in advance, just in case.